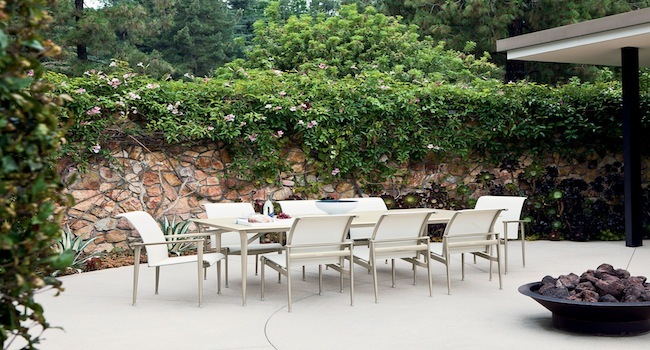 Our beautiful, yet durable dining tables and chairs are ideal for outdoor entertaining. Whether you want a place for two to enjoy coffee, or host a party of twelve for dinner, our design consultants will help you find the right style, color and size suited for your needs. To see the many possibilities, visit our manufacturers page.